Keep you Honda looking factory fresh! Pass your state's annual safety inspection. Crazy drivers in cars... (need we say more). 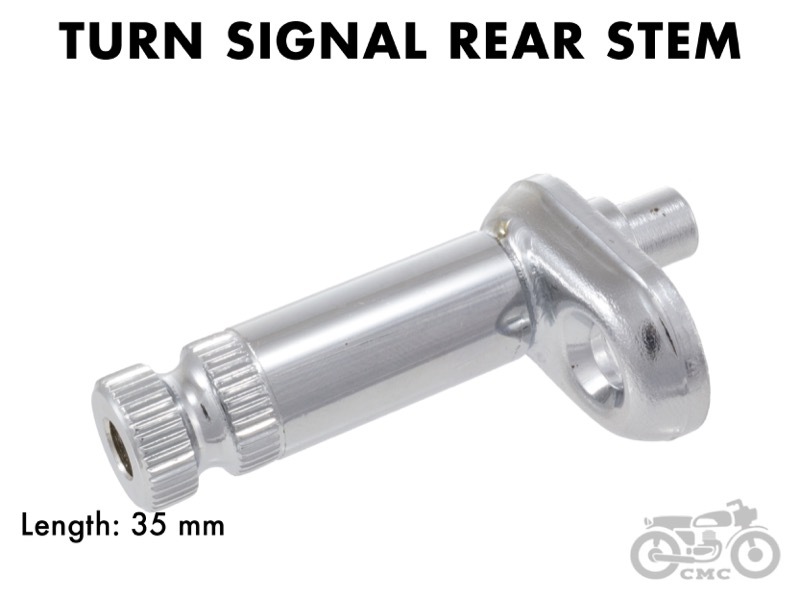 Our replacement turn signals are faithful reproductions of your corrosion prone originals; yes the same ones that are only kind of working right now on your Honda CL / CB350, CL / CB360 or CL / CB450. Complete with lens and bulb our replacement turn signals are wired up properly in two variations which will match the factory configuration for the wiring harness. 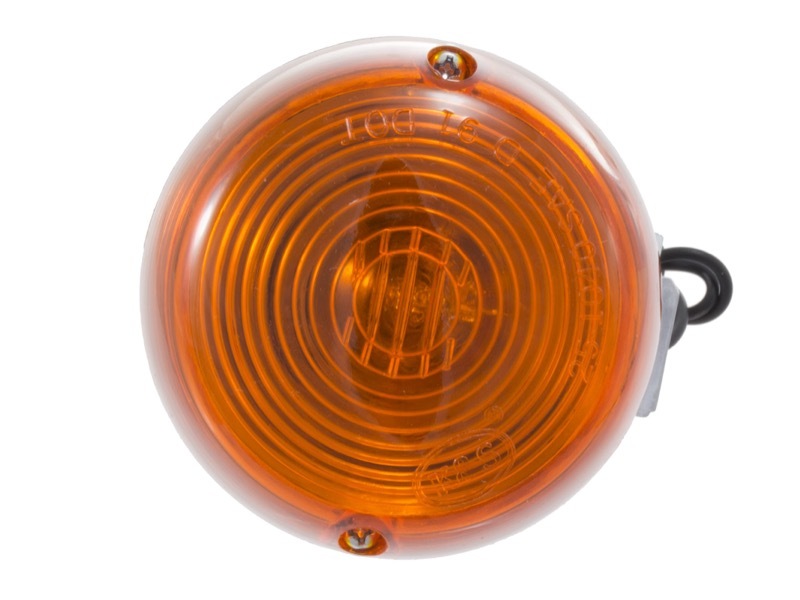 These replacement turn signals also use standard automotive 1073 (single filament) and 1034 (dual filament) incandescent bulbs (making replacement bulbs easy to find) in the correct factory wattage to keep the charging system happy, but still be bright enough to be seen properly on the road. A new flasher relay and mounting stems will have the key components of the the turn signal system overhauled, that is unless your left hand switch box is also giving you problems. Honda CL / CB350 and CL / CB450 use a shared style switch box, while the Honda CL / CB360 has a later switch box variant. 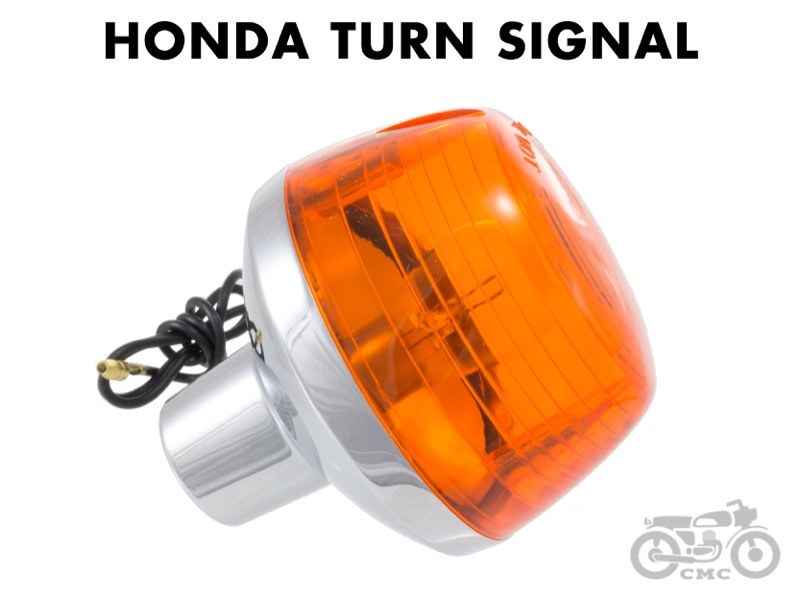 Installation Tip: The turn signals, both front and rear, on the Honda CL / CB350 and CL / CB450 use single filament bulbs. This means that they only light up when the turn signal switch is activated. However the Honda CL / CJ and CB360 uses a different turn signal in the front versus the rear of the the motorcycle. The rear is wired for single filament bulbs like the CB350 and CB450, however the fronts utilize a dual filament turn signal. One filament (the brighter one) of the bulb is used to illuminate the signal when you kick on the flasher relay during a turn. The second filament (the dimmer of the two) is a daytime running light that is on when the headlight low beam is also on. 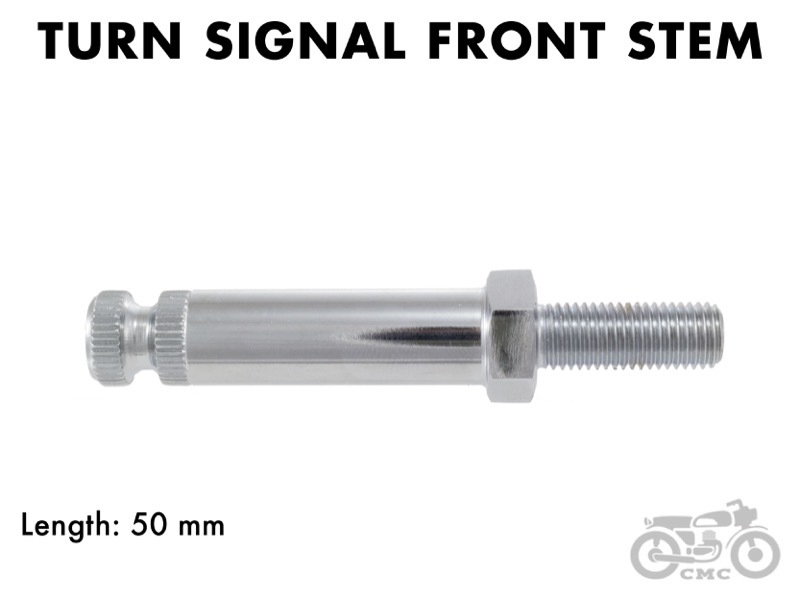 Turn signals are grounded through the metal body of the assembly (both styles). Single Filament signals: Black wire is 12V+ to attach to orange or light blue wires. Dual Filament signals: Red wire is 12V+ to attach to orange or light blue wires, black wire is for the running lights; also 12V+ but attaches to the light blue / white stripe or orange / white stripe wire. 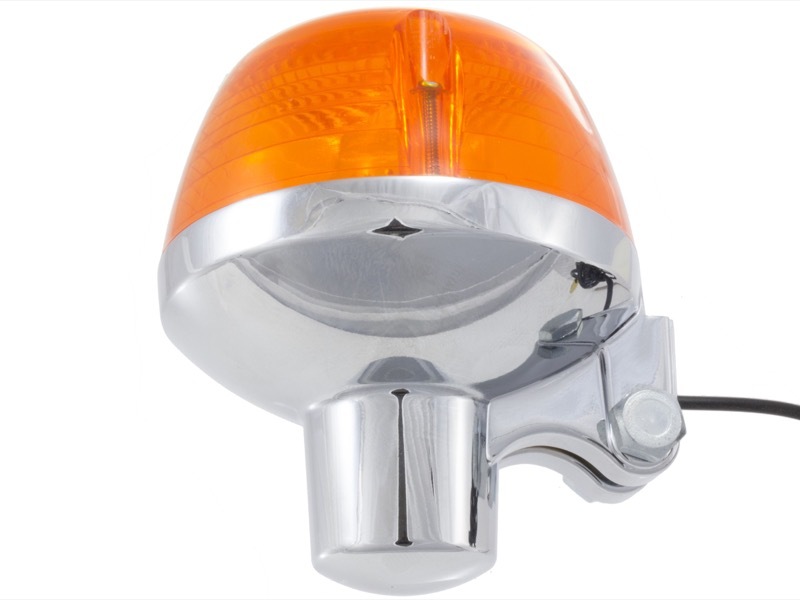 *CL / CB450 K0 & CB500T originally came with different style signals, but these can be made to work.